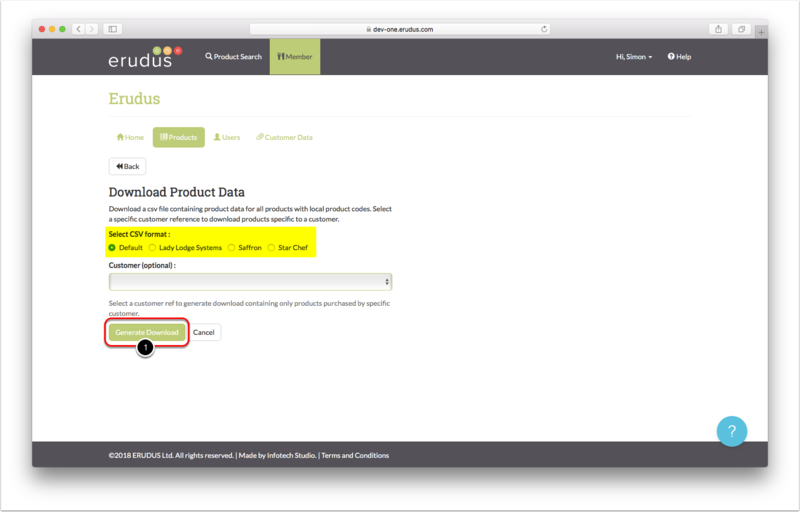 This article will show you how to download a data file with the food data for all the products you have assigned a local product code to. If you haven't done this already, please see the guide for 'Adding a local code to a product' or 'Uploading a range list to match local codes to products'. 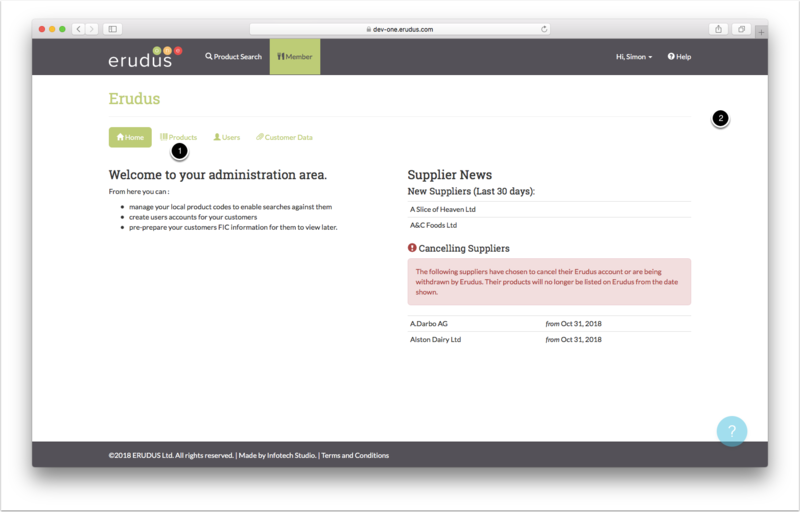 Click the member tab (1) at the top of the screen to access your member dashboard. 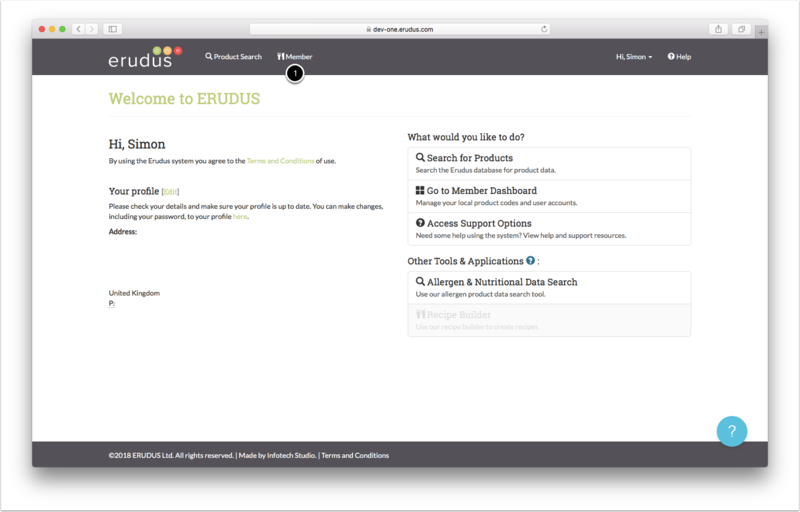 From your member dashboard, you can click on the Products tab (1) to display any local codes you have added to your products in Erudus. This screen shows any local product codes which you have assigned to the products as highlighted in the image. However, what we are going to do in this guide is download the CSV file showing all of these products for your own reference. To do this you click the button labelled CSV (1) to take you to the download screen which is shown in the next step. 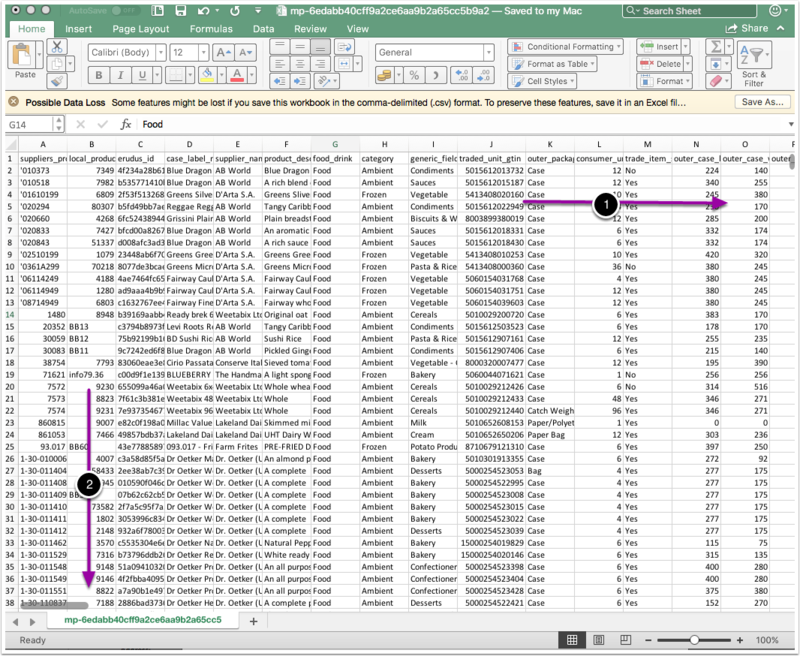 Below is the screen which is shown to confirm the download of the CSV file containing the food data. Unless you are wanting a file in the CSV format for either Lady Lodge, Saffron or Star Chef then leave the format set as 'Default' (As highlighted below). Finally, click the generate download button (1) to confirm this download and then you will see the next screen. This can sometimes take time to download depending on how much product data is contained in the file. 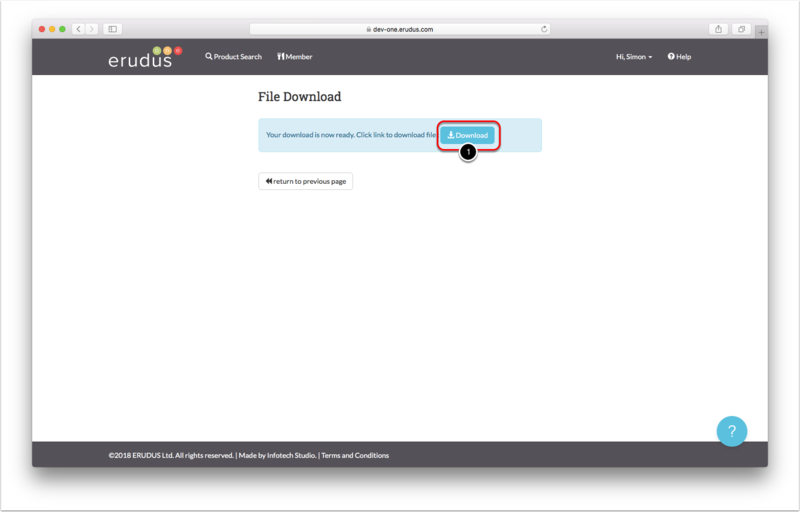 Once Erudus has prepared the file it will prompt you to download, when you click the download button (1) it will begin downloading and will be shown in your 'Downloads' folder. 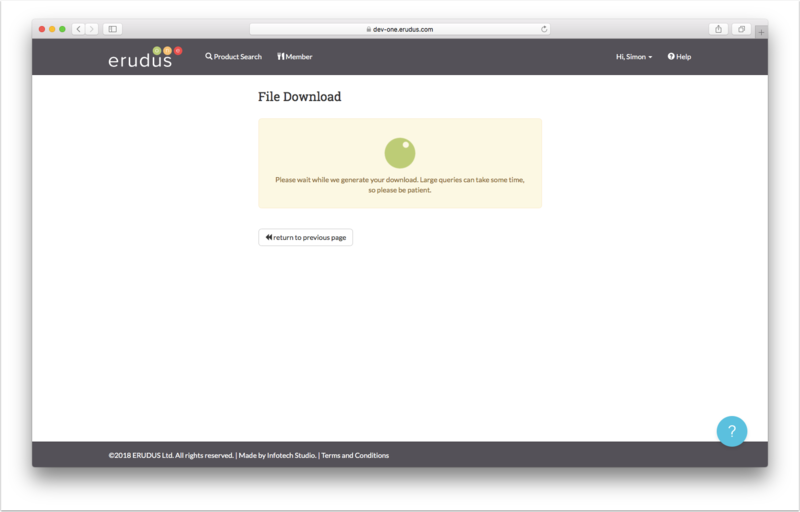 Once the download is complete you can open the file by clicking it in the 'Downloads' folder or area. Below is a screenshot of what your file should look like when opened with Microsoft Excel. This will show all the data shown in Erudus on this sheet, this includes all the label and supplier data, outer and inner packaging information as well as all the nutritional and allergen data with one column for each item of data. To view more of the items of data relating to each product you can scroll to the right to browse these as shown in arrow 1. 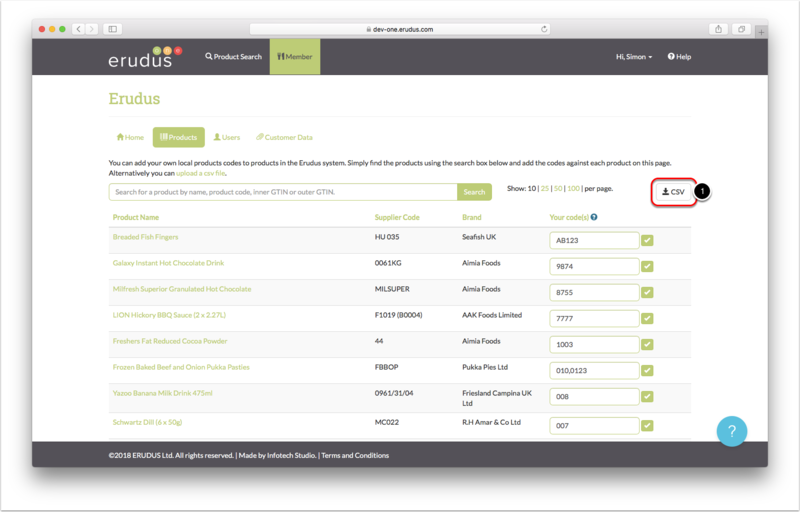 To view more products which have your local codes attached you can scroll down as shown in arrow 2.